Disgraced former Peruvian President Pedro Pablo Kuczynski, who resigned last week in the face of impending impeachment, has been banned from leaving the country while the corruption investigation against him continues. Judge Juan Carlos Sanchez, a member of the Specialized System for Crimes of Corruption, approved the 18-month international travel ban to allow a probe into PPK’s alleged links with Brazilian construction giant Odebrecht to proceed. The request for the ban, made by the Peruvian Prosecutor’s Office, was announced on Saturday after a session held at the Third Preparatory Investigation Court and chaired by Sanchez. “The legal argument is well founded to impede Citizen Pedro Pablo Kuczynski from exiting the country,” the order said. The ex-president’s lawyer, Cesar Nakazaki, said Kuczynski would abide by the order and cooperate with the investigation. At the same time, three properties belonging to the former president in the districts of San Isidro and Cieneguilla in Lima were searched as part of an ongoing investigation into allegations of money laundering. Both measures were supported by prosecutor Hamilton Castro, who is investigating transfers of more than US$1.4 million from Odebrecht to the Westfield company, owned by Kuczynski between 2005 and 2007. 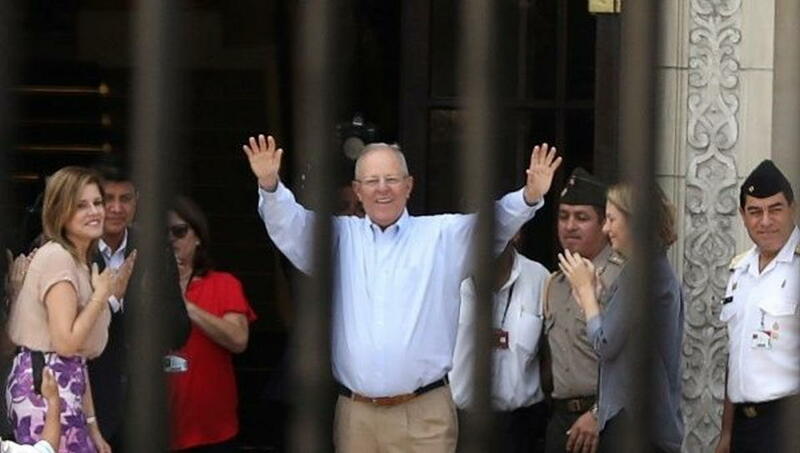 On March 21, Kuczynski announced his resignation after the broadcast of several videos in which his allies were seen buying Congressional votes to avoid an impeachment motion against him. Peru’s Congress accepted the resignation on Friday and swore in former Vice-President Martin Vizcarra as the new head of state.